Discussion: KAL Dinosaurs Zinc Elderberry ActicMelt micro tablets melt quickly in the mouth and are designed for optimal absorption in the body. 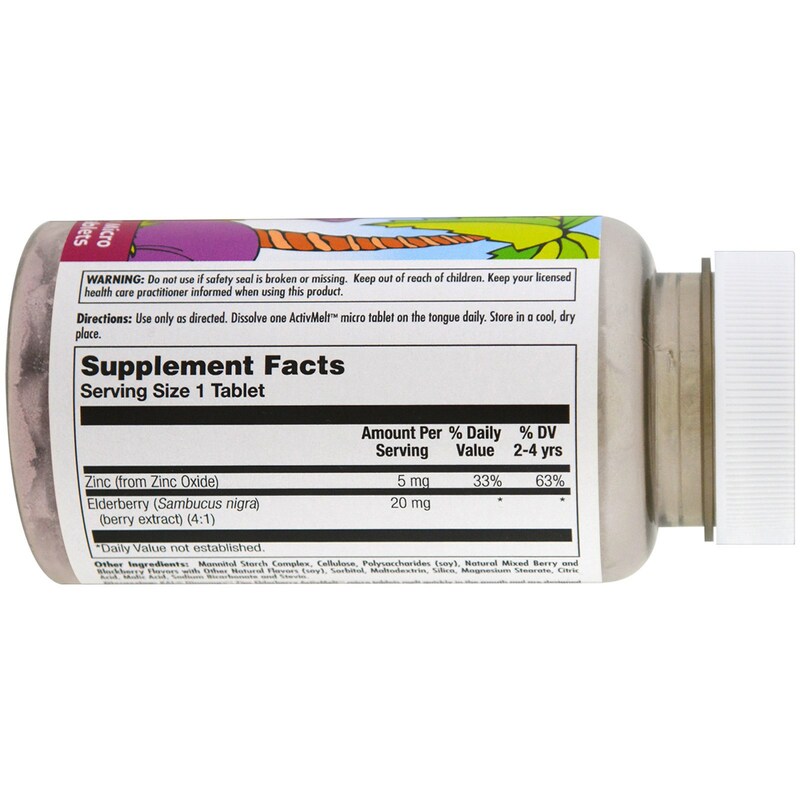 Bursting with Natural Mixed Berry flavor, the quick dissolve formula makes this a supplement kids will love to take. 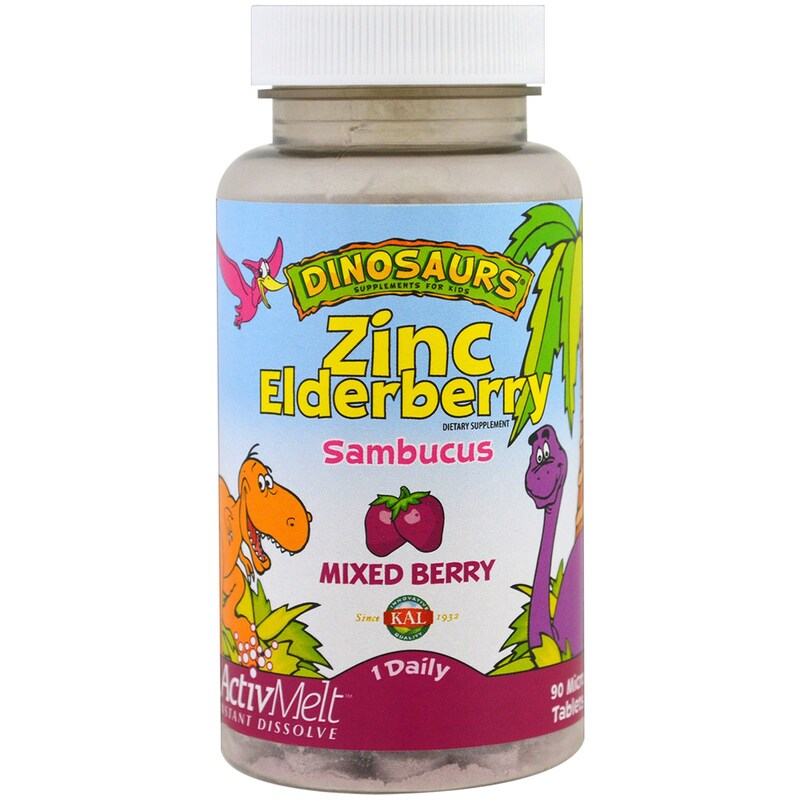 Zinc & Elderberry are intended to provide nutritive support for healthy immune function. Use only as directed. Dissolve one ActivMelt micro tablet on the tongue daily. 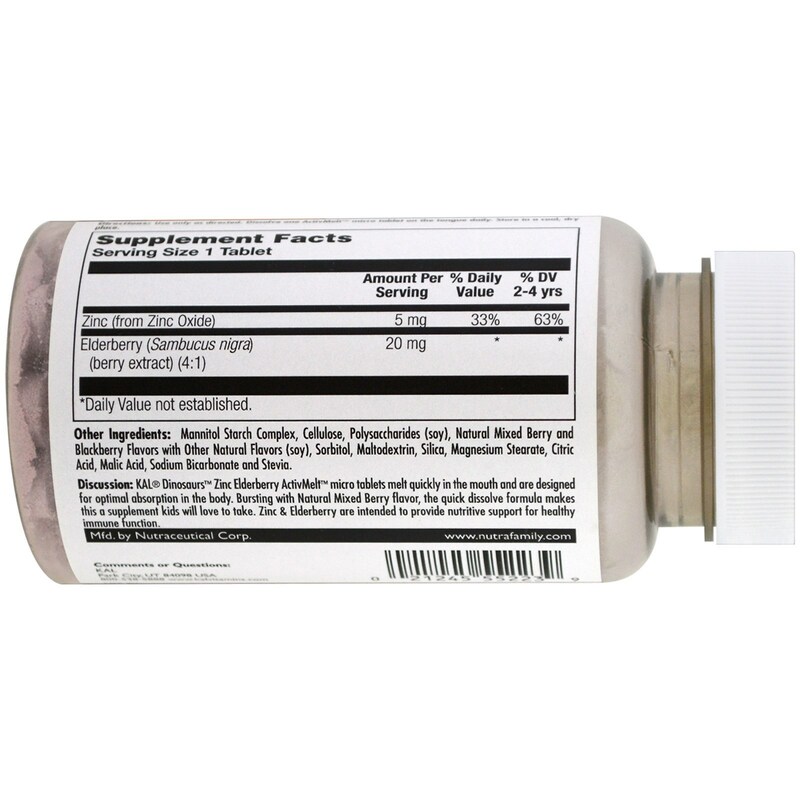 Mannitol starch complex, cellulose, polysaccharides (soy), natural mixed berry and blackberry flavors with other natural flavors (soy), sorbitol, maltodextrin, silica, magnesium stearate, citric acid, malic acid, sodium bicarbonate and stevia. Do not use if safety seal is broken or missing. Keep out of reach of children. Keep your licensed health care practitioner informed using this product.